The journey of Hajj is an important one. Millions of Muslims visit Makkah each year from all over the world to fulfill this pillar of Islam. Men wear two seamless white cloths to cover themselves, whereas women dress more modestly and cover everything except the face and hands. After ablution, two rakahs of Niyah (intention) are performed. The significance of the Ihram is to show equality in front of Allah The Almighty. The life of Prophet Ibrahim. The rites of Hajj commemorate the life of the Prophet Ibrahim (Peace be upon him). The rituals of Hajj and Umrah reflect the significant times in the Prophet Ibrahim’s life. The circumambulation of the Ka’ba is done seven times. The prophet Ibrahim built the Ka’ba with his son Ismail (May peace be upon them both). Allah the Almighty commanded the Prophet to take his son Ismail and wife Hagar to Makkah which was situated in a valley then called Bekka. The city of Makkah did not exist at the time. In fact, it was an arid and dry land. The prophet left his wife and son who complied due to their strong faith in Allah the Almighty. Soon they had no water left, and Ismail began crying out of thirst and hunger. Hagar ran between the hills of Safa and Marwa frantically searching for water, until the spring of Zamzam miraculously sprang forth from under Ismail’s feet. The ritual of Sa’yee replicates Hagar’s search for water thousands of years ago. Pilgrims spend a day at Mina where they perform the Zuhr, Asr, Maghreb, and Isha prayers before leaving for Arafat. The day spent at Mina is a way to get closer to Allah through prayers and remembrance. It is a day of great reflection, a way to feel unity with Muslims from around the world and remove racism. 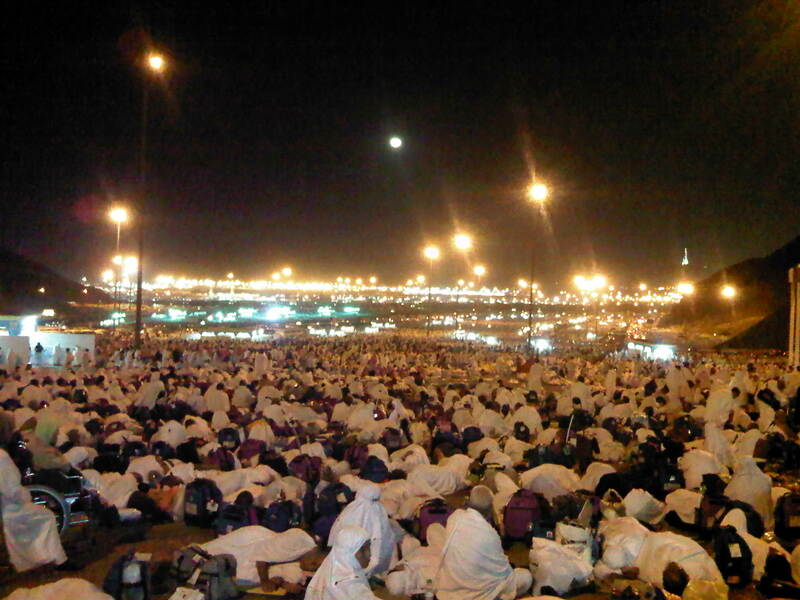 In Arafat the pilgrims pray until dusk. It the site where the Prophet Muhammad (May peace and blessings be upon him) gave his last sermon. 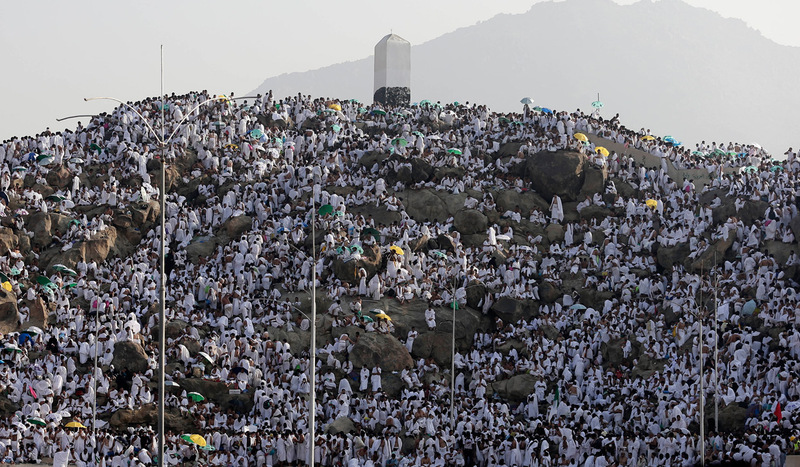 During this day the pilgrims listen to sermons delivered by Islamic scholars from Jabal Al Rahmah (The Mount of Mercy). 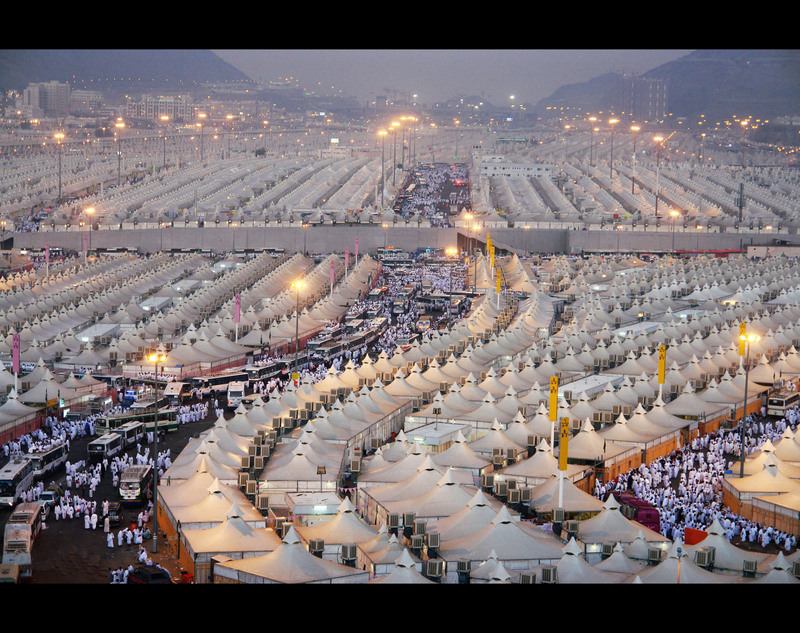 If a pilgrim somehow doesn’t spend the day in Arafat his/her Hajj is considered invalid. It’s the day of ‘wuquf’ – standing before God. It’s situated between Mina and Arafat. The pilgrims jointly pray Maghrib and Isha here and collect pebbles for the Stoning of the Devil for the next day. The pilgrims throw seven stones at the largest of the three pillars known as Jamrat al-Aqabah. The three pillars represent the three times that Satan attempted to tempt prophet Ibrahim (May peace be upon him). It’s the day which remembers Prophet Ibrahim’s great sacrifice. 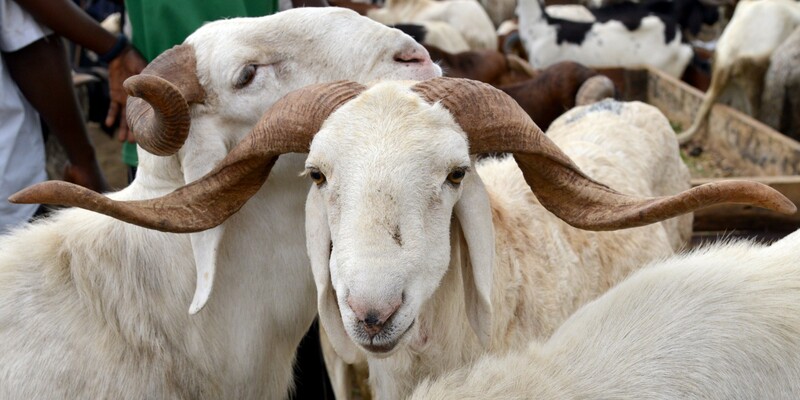 Millions of muslims all over the world sacrifice sheep as a reminder of the Prophet Ibrahim’s obedience when Allah the Almighty asked him to sacrifice his son Ismail. This act of submission was intervened when Allah allowed a lamb to be sacrificed instead of Ismail. Eid-Al Adha is celebrated for three days and the meat of the sacrifice is divided into three parts, two of which go to relatives and the poor. Regardless of whether you go for Hajj it’s important to reflect and pray during this important time of pilgrimage. Hajj shows us that we are equal in the eyes of Allah the Almighty. It humbles us and strengthens our unity and piety. Alhijaz Tours has organized Best Hajj and Umrah Packages. We assure you the best experience while travelling with us.